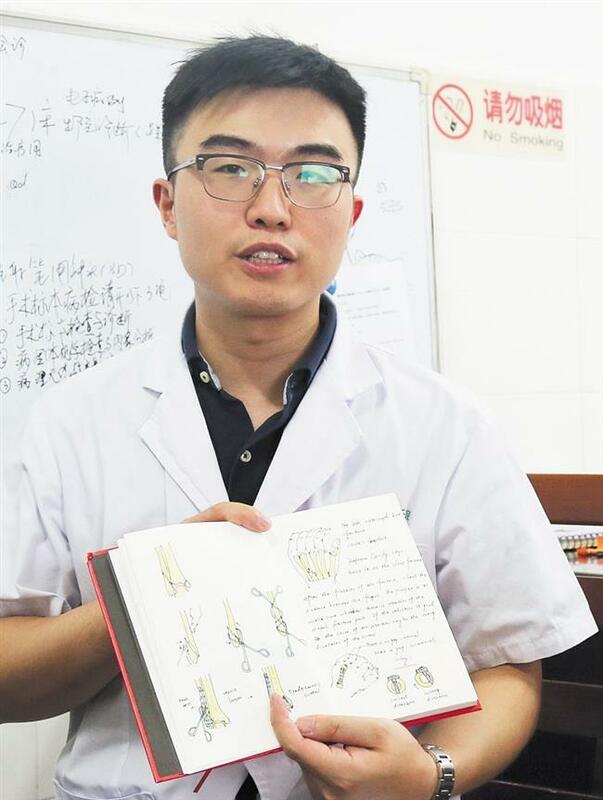 A doctor in Changsha, who began drawing pictures as a hobby, now creates illustrations of medical procedures to help his patients and their families better understand. A doctor in Changsha, Hunan Province, has drawn more than 1,000 pictures of medical conditions and procedures in the past six years to help his patients and their relatives understand more easily. Zhou Weili, 36, has liked drawing since he was a small child. After graduating from the Xiangya School of Medicine, Central South University in 2006, he became an orthopedist at the Third Hospital of Changsha. When he wasn't too busy at work, the doctor would often draw in his office. One day six years ago, his colleague saw his vivid painting of a human skeleton and suggested he apply this method to his work. 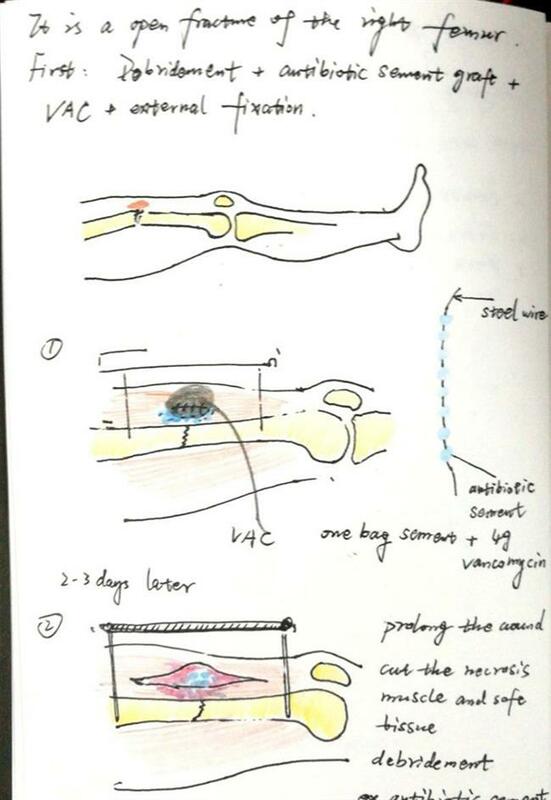 Then Zhou began drawing operation schemes on paper to show to his patients during pre-operation consultations, which helped them more easily understand. The positive feedback from his patients became a strong motivation for Zhou, who has persisted in explaining operations with this method until now. 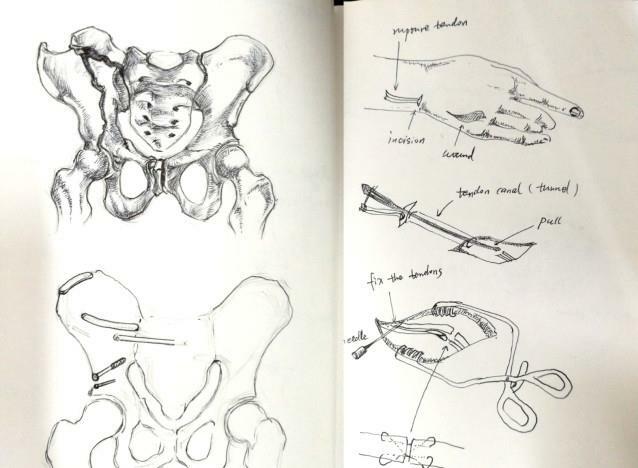 So far, he has drawn more than 1,000 schematic diagrams for his patients and their relatives. He used to draw with pencil, but now he has begun drawing with a computer and mobile phone using software, since that method is more convenient when it comes to adding colors and modifying illustrations for further use in similar cases. One of his patients, surnamed Hou, said that the doctor's illustration made him understand his condition and the process of the operation very quickly. "It's a good way that is worth being promoted in all hospitals."